National release: The previously unseen world of Freemasonry will be revealed for the first time in an enlightening new five-part observational documentary series on Sky 1 . . . . starting on Monday 17 April at 8pm. Exclusive and unprecedented access was granted to film inside one of the world’s oldest and most intriguing membership organisations as part of its 300th anniversary in 2017. The highly-anticipated observational documentary, entitled ‘Inside The Freemasons’ promises to go beyond the myth and legend to explore the real people, practices and inner-workings of the well-known, but little-understood, ancient fraternal order with roots stretching back to the medieval stone masons. From the regalia to the grand ceremonies, ancient rituals and the unbreakable bonds of brotherhood, viewers will discover what it really means to be a modern-day Freemason. 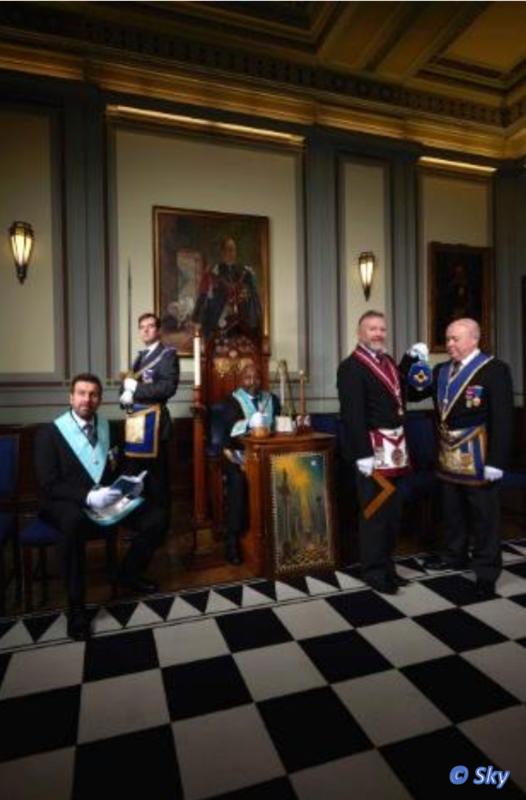 Never-before-seen . . . .
Filmed and produced by independent production company Emporium for Sky 1, this series is the first time such extensive access and filming has been permitted inside the United Grand Lodge of England (UGLE). Viewers will be given never-before-seen insights into the world of Freemasons, their practices, values, history and modern lodge life. 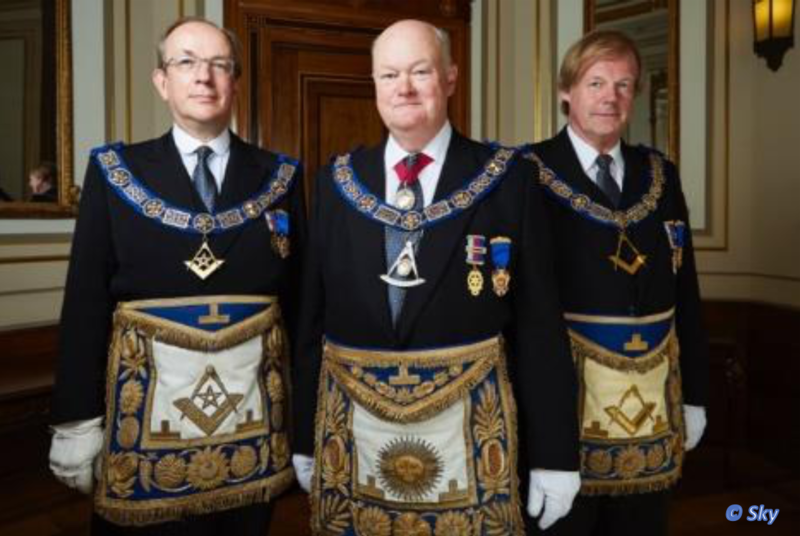 Filmed across several months in 2016, the documentary follows individual Freemasons from Entered Apprentices to Rulers, exploring the history, symbolism and the modern relevance of the organisation, including its role as one of the biggest charitable contributors in the UK. 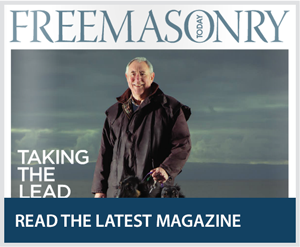 While the vast majority of viewers are familiar with the concept of Freemasonry, few can describe who Freemasons are and what they do with any confidence or accuracy. What has motivated generations of men to join its ranks? Why is it important to form bonds that transcend religion, politics or social status? What does Freemasonry stand for? What do Freemasons do? What does the symbolism and allegory mean? How does public perception differ to reality? And what does Freemasonry have to offer society today? camaraderie they say comes with being a member of the Brotherhood, to paint a comprehensive, Mason’s-eye-view of life ‘Inside The Freemasons’.